● Qualification Gained: ISO9001 quality management system certificate; ISO14001 environmental management syestem certificate; oeko-tex standard 100 certificate. ● One Technical Development Center, One linen yarn production base, One linen fabric production base. ● Main production equipment: from Italy、France、Germany、Japan and China. ● Main material: from France, the Netherlands, Belgium’raw material. ● production Annually: linen yarn 3600ton above;linen fabric12million meters above. ● Major international collaborators: Zara、H&M、C&A、Nautica、Liz Claiborn、Perry Ellis、JackJonse、Target……. 1.greige: conventional varieties are available from stock, ready to ship. 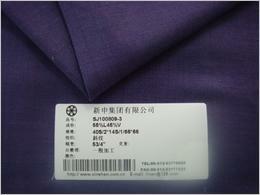 2.dyed fabric: Making time:3-6days, setting time: 10-15days, bulk time: 15-20days. Remark: Large sample collection(less 1000m) for each color tank costs 67usd. 3.yarn-dyed fabric: Making time: 7days, setting time: 20-25days,bulk time: 25-30days. Provide handloom for customer and Pattern design service freely. Width can be woven: 40”-110”(finished product). Main products: linen greige,linen fabric, natural linen, linen/polyester, linen/cotton, linen/rayon, linen yarn-dyed fabric, linen decorative fabric, linen sofa fabric, linen dyeing printing, linen scraping color, coating, foil, linen yarn-dyed dobby, linen dyeing washed, linen/tencel, linen/silk,linen/nylon and so on. Mainly used for linen garments and home textile fabrics : linen shirts for men and women, trousering, casual dress, suits and linen sofa, linen curtain cloth, linen gift box fabric, linen pillow, cushion fabric, linen bag, ef Bags fabric, linen scarf fabric, linen box fabric, linen napkin, Table mat,handkerchief, tablecloth and so on. Welcome customers to set texture, at the same time welcome the broad masses of customers with a common R&D new products. Shanghai office:: Room 702 building B Dazhong Finance tower west yanan road 1033 shanghai. Factory address: NO.1111 economical development area Zhenze town wujiang city jiangsu province china.